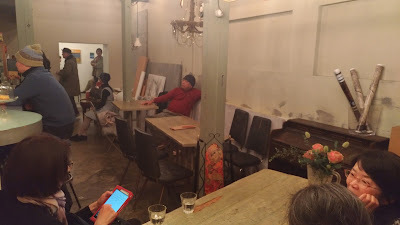 Chef-d'oeurve Restaurant/Gallery is a good venue to exhibit or perform in, it seems to be one of the few old building around the neighbourhood that had survived the fire bombings of World War Two, so it has a certain charm to it from the old wooden hand made roof shingles that are still visible in the restaurant roof along with its wooden beams. Sometimes in life you are fortunate and when the Wild Swans Art Group exhibited in Osaka at the chef-d'oeurve Restaurant/Gallery fortune revealed itself for the after exhibiting in the gallery next to the restaurant for two days, the owner asked if we wanted an extension of one day and the obvious answer was yes! 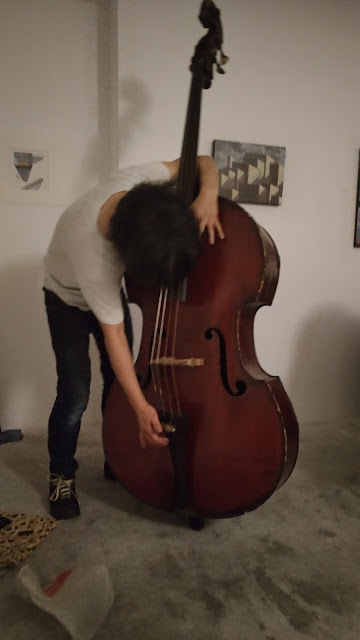 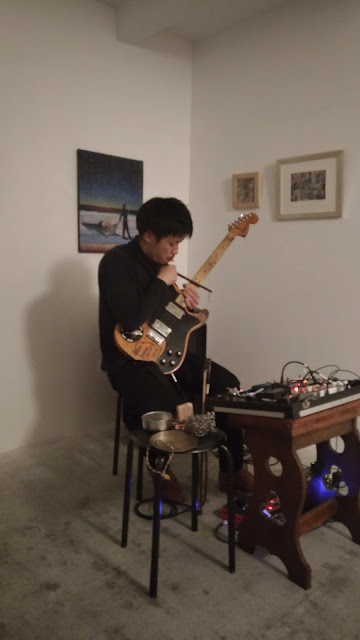 On the last night of the three day exhibition two Japanese musicians from what one might consider the avante garde genre played experimentally and passionately, making noises with an array of objects that were being scrapped or dragged or banged on or along the musical instruments. 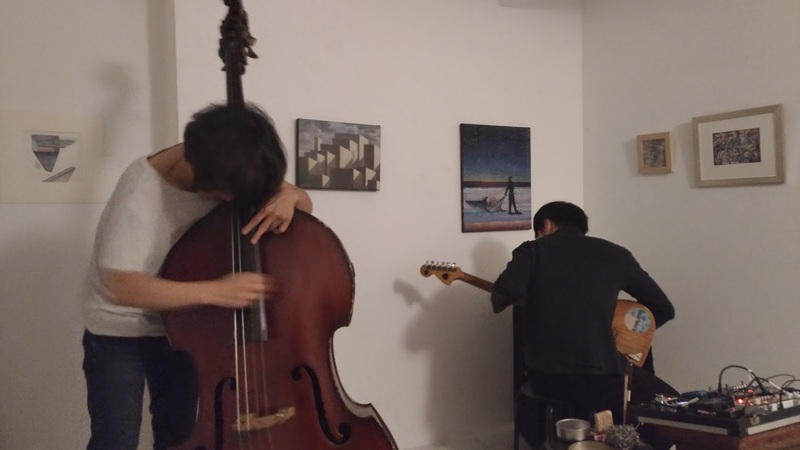 The intensity of the musicians performance with the accompanying large array of spontaneously made sounds that were being composed in then now with a kind of randomness made it an interesting and enjoyable musical work. 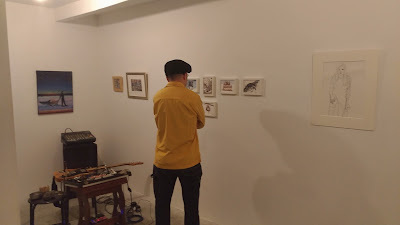 It was also great to see The Wild Swans Art Group juxtaposed such performance in some ways it was strange but unusual is good, it takes one out of there comfort zone for having musicians perform with a high intensity in front of artworks, that contain a driven praxis within in someways might remind the audience of how artist's create. 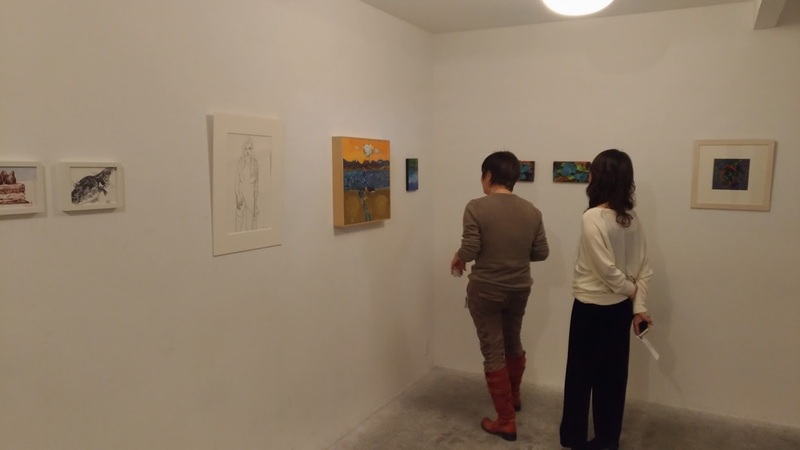 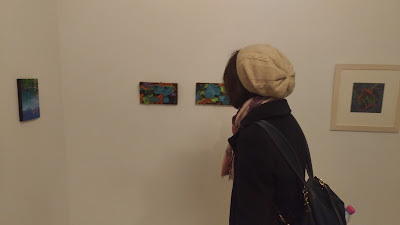 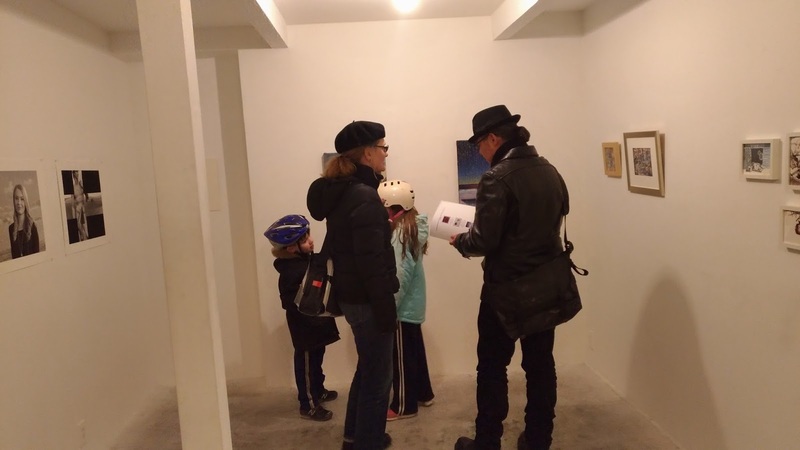 The Japanese audience appear to really appreciate art and spending time to look at each piece then asking questions, plus it was especially pleasing to get some positive feed back from one of the audience members of how she enjoyed the experience. Many thanks to all who came it made the exhibition over three days an enjoyable experience.